I joined the Centre for Peace and Reconciliation Studies (CPRS) at Coventry University in August 2012 as Lecturer in Maritime Security. 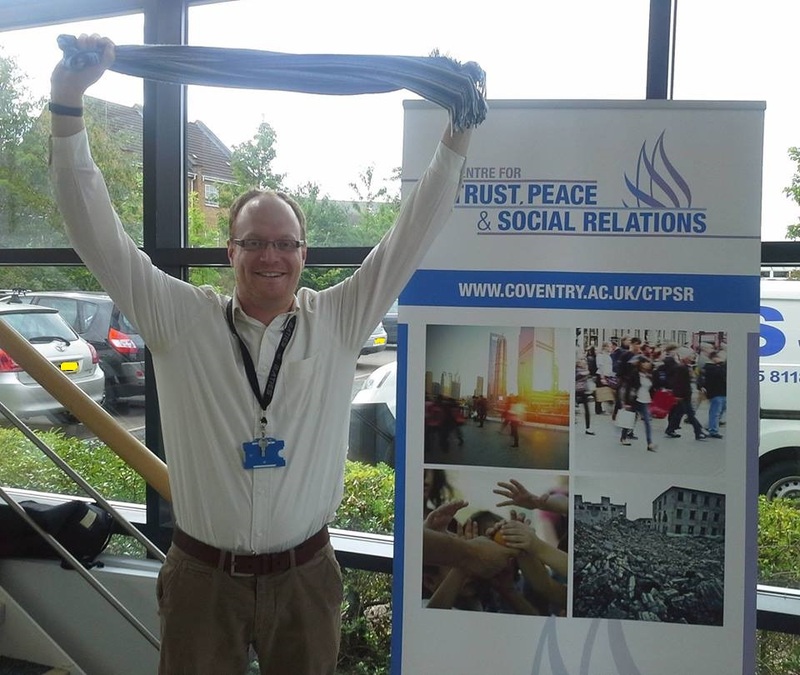 In August 2014 I became Research Fellow in Maritime Security within the new Centre for Trust, Peace and Social Relations (CTPSR) at Coventry University. 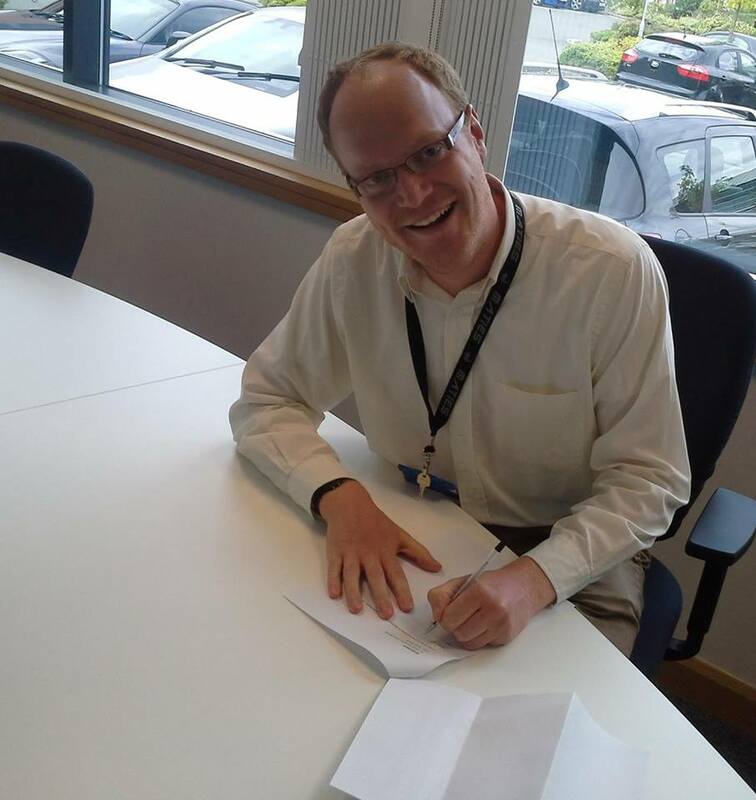 In September 2014 I was honoured to be asked to serve, on an initial two-year secondment, as the Director of Postgraduate Taught Programmes within CTPSR (see ‘Deadline Day’ signing photos below!). In this role I have strategic and academic lead for all PGT activities within the centre. I undertake this role alongside my research work. In terms of formal qualifications in Spring 2015 I was awarded a Postgraduate Certificate in Higher Education Professional Practice (with distinction) by Coventry University. Before joining Coventry University, I studied for my PhD in Politics and International Studies, and taught undergraduate students, at the University of Warwick. I successfully defended my PhD thesis ‘The securitisation of UK maritime infrastructure during the ‘war on terror” in December 2011. The thesis was supervised by Professor Stuart Croft and Dr Matt McDonald and principally sponsored by the Economic and Social Research Council (ESRC) through a +3 scholarship. I am also a graduate of the University of St Andrews where I gained a MA (Hons.) in International Relations and of the University of Manchester where I was awarded a merit in my MA in International Politics (Research) degree. I was a Data Analyst at the Centre for Studies in Terrorism and Political Violence, St Andrews, Scotland (2004-05) specialising in South Africa, Swaziland, Lesotho and Zimbabwe. I was also the Database and Internship Manager for the Counter Terrorist Financing Network (2005-07) where I was responsible for helping to manage the company’s database of open source research and recruiting, training and managing researchers. I sat on the executive committee of the British International Studies Association (BISA) for three and a half years (http://www.bisa.ac.uk/) in my capacity as Postgraduate Representative where I led efforts to develop and launch the association’s Postgraduate Network. After co-ordinating the first twelve months of activities of the network which included, amongst other things, the development of a funding competition to support postgraduate conferences/workshops, I went on to serve as its President (2011-12). Outside of my work I enjoy trying to keep fit mainly through a combination of circuit training and cycling. I have a keen interest in politics and I am an avid fan of Burnley Football Club. Under the excellent guidance of Sean Dyche Burnley FC have achieved a great deal in recent years and I am hopeful we will return to the Premier League sooner rather than later.